Make quality, handmade soap from scratch (no synthetic bases!) using the cold-process method. Learn the step by-by-step process - from the selection of oils, colorants, fragrances and equipment to calculating lye amounts. 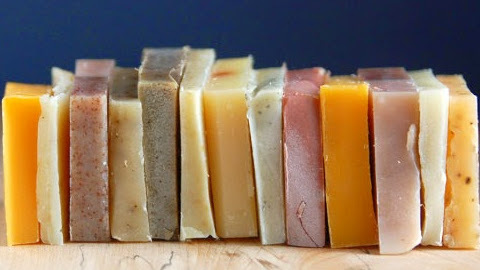 Leave class with a pound of soap and see the difference that using natural products on your skin makes. This is a messy but fun process, so wear old clothing with a long-sleeved shirt and closed-toe shoes. Lye safety will be emphasized.